Shop online for 63 stewart model trains at discounts up to 46%. Buildings is the most popular of the 6 stewart model trains categories, then Parts, and Freight Cars. This is the Diesel Sand Tower Water & Fuel Column Model Railroad Building Accessory in N Scale by Stewart Products. This is the Oil Storage Tank/Pump House Kit Model Railroad Building in N Scale by Stewart Products. This is the Double Track Diesel Sand Tower, Fuel & Water Columns Kit Model Railroad Building in HO Scale by Stewart Products. This is the Fuel Column Kit Model Railroad Building in HO Scale by Stewart Products. This is the Trackside Shanty Kit Model Railroad Building in N Scale by Stewart Products. This is the Water Column Kit Model Railroad Building in HO Scale by Stewart Products. 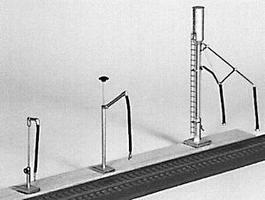 This is the Flag/Pole/Base Kit US 50 Star Model Railroad Building Accessory in HO Scale by Stewart Products. This is the Diesel Sand Tower, Fuel & Water Column Kit Model Railroad Building in HO Scale by Stewart Products. This is the Four Brush Car Washer Kit Model Railroad Building in N Scale by Stewart Products. 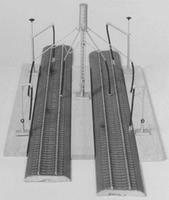 This is the Double Track Diesel Sanding Tower Kit Model Railroad Building in N Scale by Stewart Products. 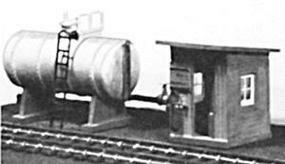 This is the Diesel Oil Storage Tank Model Railroad Building Accessory in N Scale by Stewart Products. This is the Sand Tower Kit Model Railroad Building in HO Scale by Stewart Products. 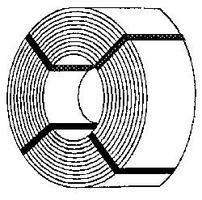 This is the Vertical Oil Storage Tank Model Railroad Building Accessory in HO Scale by Stewart Products. This is the Flag/Pole/Base Kit US 48 Star Model Railroad Building Accessory in HO Scale by Stewart Products. This is the Double Track Diesel Service Facility Kit Model Railroad Building in N Scale by Stewart Products. This is the Oil Storage Tank/Pump House Kit Model Railroad Building in HO Scale by Stewart Products.